NSF local security unlocker is the tool which allows you to unlock NSF File Security settings from NSF database files. Our Lotus Notes security unlocker can successfully unlock Lotus Notes file security by removing "you are not authorized to access that database" error. Securase is fast growing NSF file security unlocker tool to completely & successfully Unlock NSF Llocal Security. This Lotus Notes local security unlocker software is simply the best, safe & secure tool, which helps you to read NSF files by removing local security from NSF files of Lotus Notes 5.0, 6.0, 6.5, 7.0, 8.0 & 8.5 versions. 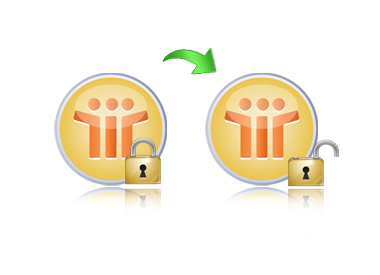 Unlock NSF file security from multiple local NSF database at once. You can easily unlock NSF file security without changing any information with NSF local file security unlocker program can instantly. Smoothly remove security error message "You are not authorized to perform that database"
This NSF security unlocker is only the local security remover, it is not a password remover tool so don't try this tool at this error message "This database has local access protection and you are not authorized to access it locally".